In today's Internet driven world, all of us use one or other applications starting from browsers, mail clients to instant messengers. Most of these applications store the sensitive information such as user name, password in their private location using proprietary methods. 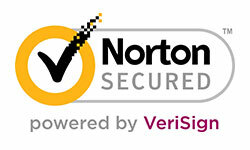 This prevents hassle of entering the credentials every time during the authentication. Some applications take utmost care to secure your login passwords but most apps use simple methods or rather obscure methods to store the passwords which can easily expose your secrets to spyware running in the background or anyone who has access to your system. In this context, this article is going to expose the secret password storage location and encryption mechanism by most of the popular applications. It is also going to present the pointers on how one can uncover such passwords using the free password tools developed by us. Here is the list of popular applications falling into various categories such as Internet browsers, Email clients, Instant Messengers etc whose password secrets are exposed below. Avant Browser is an emerging ultra-fast web browser bringing new level of clarity and efficiency to your browsing experience. Web login urls and passwords are stored in an encrypted format protected by 32 byte key stored in a file 'forms.dat.vdt'. Key is encrypted using unknown algorithm and stored in BASE64 format. Comodo Dragon is a fast and versatile Internet Browser based on Chromium, with greater level of security & privacy. It uses same storage format and encryption mechanism as Google Chrome browser. You can use Comodo Password Decryptor to automatically recover all the stored login passwords by Comodo Dragon browser. CoolNovo (formerly Chrome Plus) is an emerging Chromium based web browser. It uses same storage format and encryption mechanism as Google chrome. You can use CoolNovo Password Decryptor to automatically recover all the stored login passwords by CoolNovo browser. Firefox with version 3.5 and earlier stores the sign-on passwords in the 'signons.txt' file located in its profile directory. With version 3.5 onwards Firefox started storing the sign-on passwords in Sqlite database file named 'signons.sqlite'. The passwords stored in this sign-on file are encrypted using Triple-DES followed by BASE64 encoding mechanism. To know how and what information is stored in this encrypted sign-on file, refer to this article page. You can instantly recover all these sign-on passwords using tools such as FirePassword (command line) or FirePasswordViewer (GUI). Firefox provides additional protection option called 'master password' to prevent malicious users from discovering these sign-on passwords. Master password as such is not stored any where directly but it's one way hash and other relevant information is stored in the key3.db file within the profile directory. Flock browser uses similar storage format & encryption mechanism as Google Chrome. It stores website login passwords in the sqlite database file called 'Login Data' at following profile location. Each stored sign-on entry mainly contains website URL, username field id, username, password field id and encrypted password. You can use Chrome Password Decryptor to recover the stored website login passwords by Flock. By default it sets the profile path of Chrome but you can change it to above profile location of Flock and recover all the stored passwords. Google Chrome stores all sign-on passwords in the sqlite database file called 'Web Data' within the profile directory. Newer version uses 'Login Data' file for storing login passwords. Here is the default location of Chrome profile directory. You can use Chrome Password Decryptor to automatically recover all the stored sign-on passwords by Chrome. Google Chrome Canary or SXS is the parallel test version of Chrome which user can download and test, there by helping Google to release stable version of Chrome. Also it uses same storage and encryption mechanism as Chrome. Each stored sign-on entry mainly contains website URL, username field id, username, password field id and encrypted password. You can use Chrome Password Decryptor to automatically recover all the stored sign-on passwords by Chrome. By default it sets the profile path of Chrome, here you need to change it to Chrome Canary location as mentioned above. With version 7 onwards IE uses the new mechanism to store the sign-on passwords. The encrypted password for each website are stored along with hash of the website URL in the following registry location. Also IE 7 onwards, HTTP basic authentication passwords are stored in the 'Credentials store' at following location based on the operating system. You can instantly recover stored passwords for all versions of IE using the tool, IE Password Decryptor. This magic file is fully encrypted with unknown algorithm. We will update here as we decipher more information. Opera stores the login passwords in an encrypted format in the 'Magic Wand File' called 'Wand.dat' within its profile directory. This profile path is different for different versions of Opera as shown below. Wand file mainly contains website URL, username and password information which are encrypted using Triple-DES algorithm. You can use Opera Password Decryptor to instantly recover stored passwords from Opera's magic Wand file. Safari uses strong storage format and encryption mechanism for securely storing website login passwords. Login passwords along with other information are stored in 'keychain.plist' file at following central location. The Keychain file uses binary Property List format (typically found in MAC) which contains information such as website server name, user login & encrypted password. Password is encrypted using the Cryptography functions with the salt value to keep it stronger. You can use Safari Password Decryptor to automatically recover all the website login passwords stored by Safari. SeaMonkey is an emerging mozilla based internet web browser. It uses same password storage format and encryption mechanism as Firefox browser. It uses same storage format and encryption mechanism as Firefox. You can use our tool 'SeaMonkey Password Decryptor' to instantly recover all the web login passwords from SeaMonkey database. AIM uses Blowfish encryption algorithm along with Base64 encoding to securely store the login passwords. You can use our FREE tool, AIM Password Decryptor to recover the password saved by all versions of AIM (including latest version v7.5). Password for each user is encrypted and stored in the registry value 'password' under this key. "Exposing the Password Secrets of Beyluxe Messenger"
Login name is stored in the registry value "LoginName" and encrypted password is stored in the registry value 'Password' under this key. We will update more details about its encryption method once we crack it down. Here <user_name> refers to nick name or login name of the user. Hashed password is stored in registry value "Hash1" under this key. Digsby stores only main account password locally and all other IM account passwords (such as Yahoo, Gmail, AIM) are stored in the servers. Main Digsby password is encrypted using special algorithm with username, windows product id, install date as key and resulting password is then encoded with BASE64 before storing into the above password file. Earlier Digsby versions used hardcoded string 'foo' as key without BASE64 encoding. You can use Digsby Password Decryptor to instantly recover Digsby password for all versions. Google Talk (GTalk) stores all remembered gmail account information at following registry location. For each Google account separate registry key is created with the account email id as name under this key. Account password is encrypted and stored in the registry string value named 'pw' within this account registry key. You can use Google Password Decryptor to instantly recover all stored Google account passwords by Gtalk. Username is stored in clear text and password is stored in hex format as a default registry value. You can use Messenger Password Decryptor ttool to automatically & quickly recover the login account password stored by IMVU messenger. Meebo Notifier (beta version) stores the login messenger account passwords in the 'MeeboAccounts.txt' file at below mentioned location depending on your platform. This "MeeboAccounts.txt" file contains username in clear text and login password encoded with magic bytes. You can use our Meebo Password Decryptor or Online Meebo Password Decoder to automatically and instantly recover all the messenger passwords stored by Meebo Notifier. Miranda is open source based popular messenger of recent times. Like most instant messengers, Miranda also stores the all user account information including passwords in the profile location. This is to prevent the user from entering the passwords each time. User can have multiple profiles specific to office or home environment and corresponding account information is stored in the respective profile file. Miranda uses its own proprietary mechanism to encrypt the password before storing into the profile file. "Exposing the Password Secrets of Miranda"
You can use Miranda Password Decryptor to instantly recover all stored account passwords by Miranda. MSN Messenger also uses 'Credential Store' to securely store the remembered passwords. These passwords are stored as type 'Domain Visible Network' aka '.Net Passport' using the target name as '.Net passport' within the 'Credential Store'. You can recover all MSN messenger stored passwords using MSNLive Password Decryptor. MySpaceIM is one of the upcoming instant messenger which stores the user account & password details at following location. The user login email id is stored in clear text where as the password is in encrypted format. The password is encrypted using 'Windows Crypto API' functions and then encoded using BASE64 algorithm beforing storing into this file. So in order to decrypt it successfully one has to decode the password using BASE64 and then decrypt it using CryptUnprotectData function. You can use IM Password Decryptor to instantly recover stored account passwords by MySpaceIM. It stores all the account details including login username & password (stored in hex format) in registry values "username" & "password" respectively. You can use Messenger Password Decryptor to automatically & quickly recover the login account password stored by Nimbuzz. All these IM passwords are encoded with BASE64 and stored in 'pwd' registry value. You can recover main password as well as all the IM passwords stored by Paltalk using Paltalk Password Decryptor. Older versions (Gaim) used .gaim folder instead of .purple to store the account details. For each stored account, 'Accounts.xml' file contains the <account> tag, which has sub tags <name> & <password> containing the account email address and password in plain text respectively. This config.xml contains <Credentials2> tag which contains encrypted hash of the password. As per the research paper 'Vanilla Skype' written by Fabrice Desclaux and Kostya Kortchinsky, Skype uses the MD5 hash of string "username\nskyper\npassword" for authentication. If user has set the 'Remember password' option then this MD5 hash is encrypted using AES-256 & SHA-1 algorithms and finally saved into the 'Config.xml' file. Since the HASH of the password is saved, it is not possible to directly get the password. Instead one has to use dictionary or brute force approach to find out the right password from the hash. This approach may take days or months together based on the length & complexity of the password. You can use our 'Skype Password Recovery' to recover your lost or forgotten Skype password. This "Registry.db" file is in the OLE storage format which can be viewed using DocFile Viewer. However internal login information is encrypted using Blowfish algorithm. Trillian Astra stores only main account passwords (called as Identity or Astra password) in the 'accounts.ini' file at below mentioned location. But all other IM account passwords (such as Yahoo, Gtalk, AIM, MSN etc) are stored on the servers. For each account it contains section named '[Account<number>]" under which all information for that account is stored. Username is stored in the field named 'Account=' and password is stored in the field 'Password='. Trillian first performs XOR encoding of the password with standard pattern and then encodes it with BASE64 before storing it. You can use Trillian Password Decryptor to automatically recover passwords stored by all versions of Trillian. Windows Live Messenger stores the account password at 'Credential Store' which provides different mechanisms such as 'Generic', 'Domain Network', 'Domain Visible Network' etc which applications can use to store and retrieve their private credentials. Each such method requires different technique and privilege level to enumerate and decrypt the passwords. 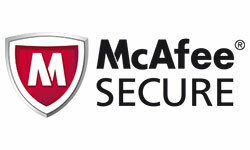 Windows Live Messenger uses 'Generic Password'mechanism of 'Credential Store' to store the passwords under the target name 'WindowsLive:name=<email_id>'. You can use MSNLive Password Decryptor to instantly recover all such passwords stored by Live Messenger. Xfire uses blowfish encryption algorithm for both username & password. Each encrypted Username is stored with the label "EncryptedUser1" and password is stored as "EPW1". However Xfire does not store the original password directly. Instead it generates the SHA1 hash of username+password+"UltimateArena" and then store the encrypted data of this SHA1 hash. 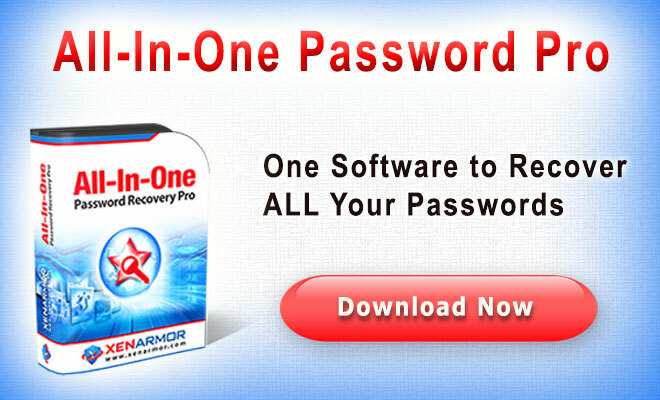 You can use Xfire Password Decryptor to instantly recover the login passwords from Xfire. This password is encrypted and then encoded using Yahoo64 (similar to Base64) algorithm and stored at above location. The actual algorithm and encoding functionality is present in ycrwin32.dll (can be found in installed location of Yahoo Messenger). This "Account.stg" file appears to be in binary format as first 0x800 bytes are filled with some hex data then follows the actual account information including POP3 and SMTP account passwords.POP3 & SMTP account passwords are stored by the name 'POP3Password' & 'ESMTPPassword' respectively. The passwords are stored in hex format and XOR encoded using the magic string "~draGon~". You can use Foxmail Password Decryptor tool to recover all mail account passwords stored by Foxmail. Gmail Notifier uses different mechanism to store the Google account password based on IE versions. For IE version 7 onwards, Gmail Notifier stores the password in the 'Windows Credential Store'. This password can be decrypted using CredEnumerate API function. You can use Google Password Decryptor or Network Password Decryptor tool to instantly recover all Google account password stored by Gmail Notifier. Main account details such as Email address, POP3 password, SMTP password are stored in registry values 'EmailAddress', 'PopPassword' & 'SmtpPassword' respectively. Passwords are encoded using magic byte pattern "0x89, 0x32, 0xCA, 0x31"
You can use IncrediMail Password Decryptor tool to automatically recover all mail account passwords stored by IncrediMail. Outlook versions starting from 2002 to latest version 2010, store the passwords (other than exchange server) for various email account such as POP3, IMAP, SMTP, HTTP at following registry location. Newer versions of Outlook from 2002-2010 stores the Exchange server passwords in 'Credential Store' as it provides better protection over other methods. You can use Outlook Password Decryptor or Network Password Decryptor to recover such passwords. You can use Outlook Password Decryptor to decrypt passwords for all versions of Outlook from 98 to 2013. You can use ThunderbirdPassDecryptor to recover all stored mail account passwords by Thunderbird. Windows Live Mail (part of Windows Essentials) stores all the account information including passwords at following location. Each account is stored in a .oeaccount file in separate folder within the above profile location. The file is stored in XML format and passwords are found within the tags such as HTTPMail_Password2, POP3_Password2, IMAP_Password2, SMTP_Password2 etc. Password is encrypted with a salt using Windows Cryptography functions. You can use Live Mail Password Decryptor to recover all stored mail account passwords by Thunderbird. Dreamweaver - popular web site editing software - stores FTP & WebDav login & password information in the registry at following location. For Dreamweaver CS5 edition, replace 10 with 11 in above location. Each FTP site entry is stored in separate key "-SiteX" (as shown above) where X starts with 1 and incremented for every new FTP site. Each such Keychain entry contains user and encrypted password stored within the registry values named "User" & "User PW" respectively. Dreamweaver uses the standard Windows Cryptography Functions (CryptProtectData) to encrypt the password before saving it to registry. You can use Dreamweaver Password Decryptor to recover all the FTP passwords stored by Dreamweaver. This xml file contains entry for each ftp server account with tag <server>. For each server entry, there is <user> & <pass> tags which contains user name & password in plain text for corresponding FTP server. You can use Filezilla Password Decryptor tool to recover all FTP server passwords stored by FileZilla. The above location applies to FlashFXP v4 or higher. For version 3 replace 4 with 3 in the above location. FlashFXP uses simple encoding algorithm with magic string as "yA36zA48dEhfrvghGRg57h5UlDv3" to encrypt the password. You can use Flashfxp Password Decryptor to recover all the FTP passwords stored by FlashFXP. 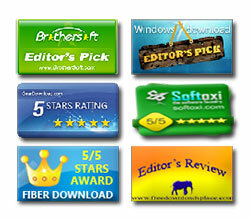 FTPCommander one of the popular FTP clients which comes in FREE, Pro & Deluxe editions. All editions for FTPCommander (as of latest version v9.2) stores the password along with server & username after performing XOR encoding of the password with magic number 0x19 (25). You can use FTPCommander Password Decryptor to recover FTP passwords stored by all editions of FTPCommander. SmartFTP (as of latest version v4.0) stores each FTP site information (host, username & password) in separate XML file in the above location. 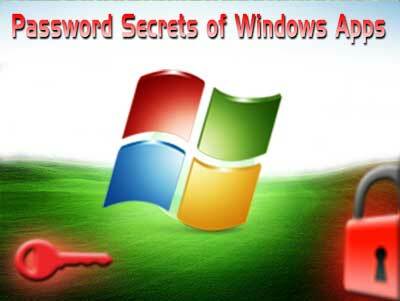 Password is encrypted using the 'Windows Cryptography Functions' (CryptEncrypt). It uses the RC4 encryption algorithm with the key derived from MD5 hash of magic string "SmartFTP"
You can use SmartFtp Password Decryptor to recover all the FTP passwords stored by SmartFTP. Username and password for each of the stored FTP site is present after fields "uid=" and "pwd=" respectively. Password is encrypted using Triple DES algorithm with magic key and then stored in the Base64 format. You can use our WS_FTP Password Decryptor to recover all the FTP passwords stored by WS_FTP. The above registry key contains the 2 main registry values, 'POP3_name' & 'POP3_credentials' holding the Google account name & encrypted password respectively. You can use Google Password Decryptor tool to instantly recover any such password stored by Google Desktop Search. This "login.cfg" file contains the username and password after the fields 'login_name' & 'login_password' respectively. Password field is nothing but md5 hash of the original password, which can be cracked using online MD5 hash crackers or offline tools. There is registry key representing each download site below this location. Each such entry has 2 registry values "User" & "EncPassword". User name is the hex representation of ascii character, however password is XOR encoded with 0xf. You can use our IDM Password Decryptor to automatically recover all stored passwords by IDM. HSQLDB stores the database contents in terms of plain SQL statements. You can find all JDownloader configuration along with premium passwords in "database.script" file. There is no encryption as such but data itself is stored in serialized object format. For version 2 beta onwards, JDownloader stores the account passwords at new location. You can use our JDownloader Password Decryptor tool to instantly recover passwords from all versions of JDownloader. The "sitelogin.dat" file contains website, username & password information for each of the premium download site. Passwords are encrypted using IDEA algorithm. You can use our Orbit Password Decryptor to automatically recover all stored passwords by Orbit Downloader. Picasa stores Google account password information at one of the following registry location. Some of the early releases of Picasa 3 version used second location, but later switched back to previous location itself. The registry value 'gaiaEmail' contains the Google account id and 'gaiaPass' contains the encrypted password. Picasa versions 2 and 3 uses different encryption mechanisms to store the password. Google Password Decryptor can automatically recover the password for different versions of Picasa. Remote Desktop stores the saved credentials at 'Credential Store' using the target name as 'LegacyGeneric:target=TERMSRV/<Host_IP_address>'. As many applications use 'Credential Store' to save their passwords, this target name can be used to uniquely identify 'Remote Desktop' stored passwords. You can use 'Network Password Decryptor' to recover the passwords stored by Remote Desktop. This file 'data.db is in SQLite database format. It has many tables, out of which 'Accounts & 'Settings' tables are interesting ones. 'Settings' table contains following important keys 'SeesmicUsername' & 'SeesmicEmail' which refers to login id for Seesmic itself. Note that when you add Twitter account to Seesmic, you are required to login to Twitter and grant permission to Seesmic. Whenever you do this, Twitter generates various authentication ids such as consumerKey, consumerSecret, oAuthToken & oAuthSecret. Seesmic can then use OAuth Mechanism with these secret ids to access your Twitter Account. Seesmic stores these Secret ids along with other details for each account in the above XML file. Here <Token> field refers to "oAuthToken" and <TokenSecret> refers to "oAuthSecret". It appears that consumerKey, consumerSecret may have been stored on the server which is refered by field <ServerAccountId>. Each stored session starts with a tag <SessionData and contains information about Host, Port, Username, Password. Password is usually stored in Extra arguments after -pw option. You can use our SuperPutty Password Decryptor to automatically recover all the stored session passwords. On Windows, Adobe AIR uses DPAPI functions to encrypt the credentials using the 128 bit AES-CBC algorithm. Here is the typical sequence which is generally used to store the secret data. This file is in SQLite database format. It has one table 'itemTable' containing key & value fields which stores various user settings. Login email is stored in key value 'tweetdeck_account' and encrypted password is stored under the key value 'hoard'. This field contains login email id and base64 encoded text of actual encrypted password. More reversing is required to further analyze the encrypted password. If you find any interesting details, do share.